4,000 ANSI lumens project a clear image in any classroom or conference room. 2000:1 Contrast Ratio (Active Iris) displays clear, crisp images in vibrant colors. Hybrid Filter provides a lower cost of ownership requiring less frequent maintenance schedules (5,000 hours between maintenance). Longer Lamp Usage (Eco mode) reduces energy and increases lamp life (up to 4,000 hours). Hitachi’s continued effort to improve the total cost of ownership. 16 Watt Audio Output (internal speaker) eliminates the need for any additional connection to external speakers. 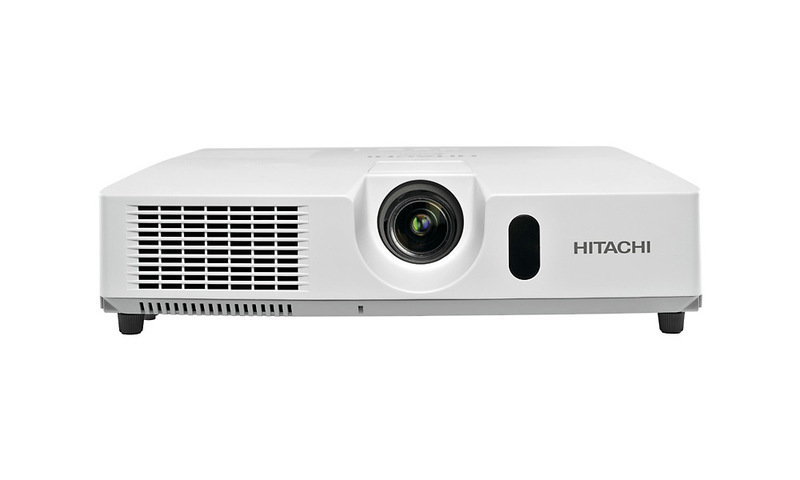 The Hitachi CP-X4020 is a projector that features a brightness of 4,000 ANSI lumens and a 2000:1 contrast ratio. The hitachi cp-x4020 projector also offers an Eco mode which helps reduce energy and increase lamp life of up to 4,000 hours.